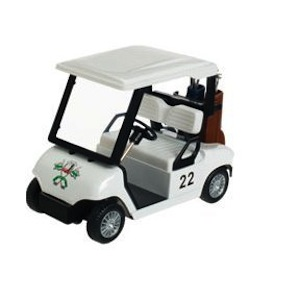 This cute die-cast golf cart has pull back action for instant action. Two golf bags on the back have removeable plastic clubs. Number 22 on the side and rubber wheels. Perfect gift for the golf lover!